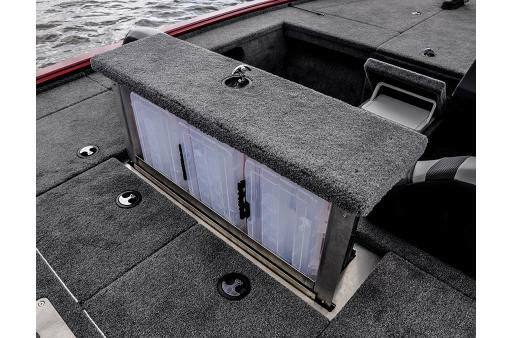 This boat is equipped with 2 additional bike seats with air ride pedestals, 3 bank on board charger, 36 volt upgrade, chrome raised LUND letters, fender hanger system, Hummingbird Helix 10" in console graph, port side console, Rockford Fosgate stereo, smart craft gauges, Snap in marine mat, toll holder in bow, and a travel cover. 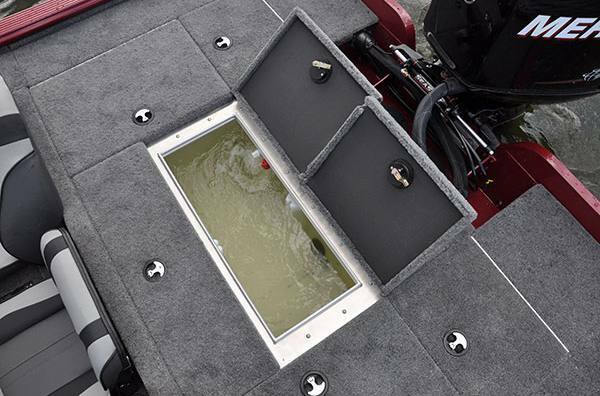 Also the boat sits on a custom bunk trailer with spare tire and load guides. 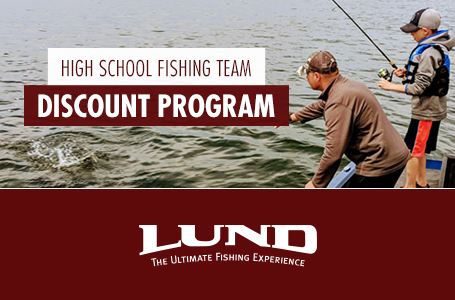 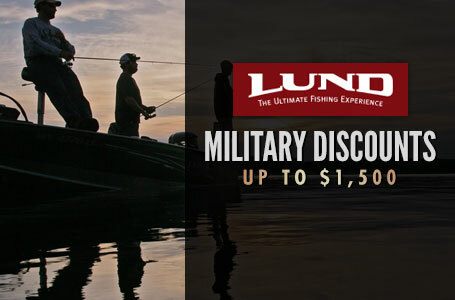 One of the newest members of the Lund lineup is the 2075 Pro V Bass tournament fishing boat. 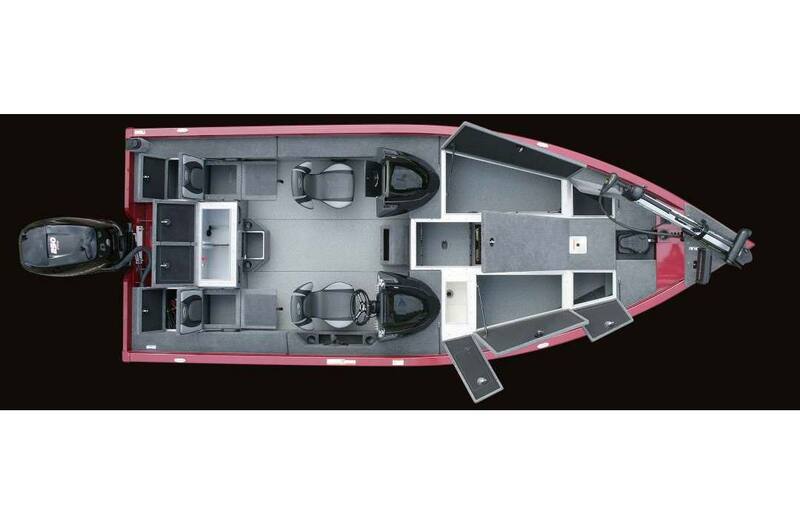 This boat comes in two different seating configurations, either the standard bench style or pedestal seating version. 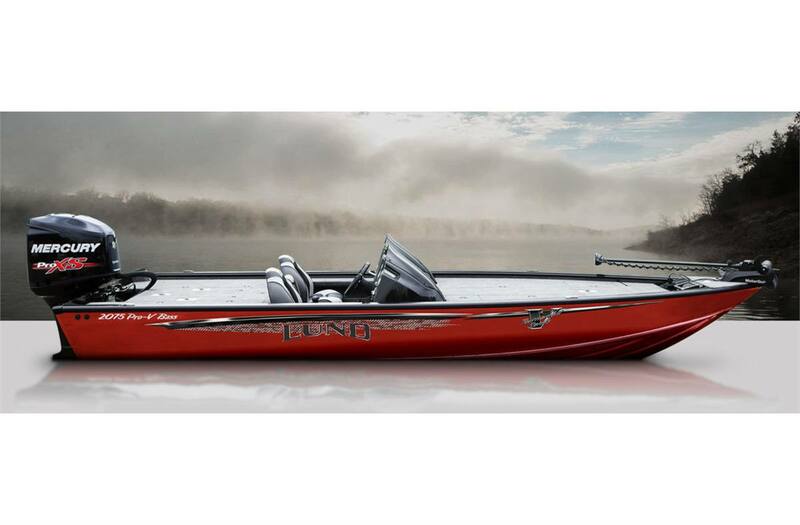 This 20’ plus versatile bass and muskie aluminum fishing boat is designed to handle both shallow water and rough water conditions. 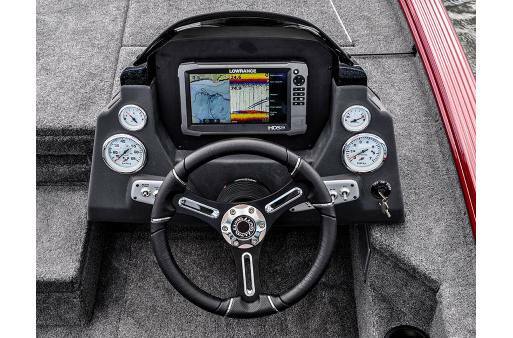 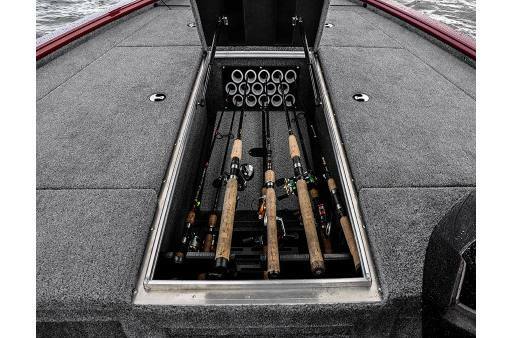 With two massive casting decks and an industry leading center rod storage, the 2075 Pro V Bass boat is built to perform.